Cocoon – Dots & Pearls 3 mixed by Daniel Stefanik starts with Daniel’s owns edits of Guido Schneider & Andre Galluzzi’s “Mario” merged with Tim Green’s big label smash “Eclipse.’ The two blend perfectly and get things off to a fine start before the first exclusive ‘Music On My Mind’ by Subb-an really gets things going. After that Daniel picks another one of his edits. This time it is Luca Ballerini’s ‘Impressions Of A Dawn’ masterfully merged and mixed with Tim Greens ‘Eclipse’ and ‘Thieves’. With each new mix, Daniel steps up the ante and energy levels and includes contributions from Dana Ruh, Fauntleroy (Len Faki Remix) and Ilario Alicante, which are all compiled and mixed perfectly together into an engaging passage of techno. Next in line is another edit of Luca Ballerini’s ‘Orizzonte’ which leads to ‘The Concept’ by Waveshape, the second exclusive and previously unreleased track on Dots & Pearls Volume 3. The rest of the mix finds Stefanik mixing a Waveshape track elegantly with Ricardo Tobar’s ‘Blue Mint’ into another edit that blends into Traumer’s ‘Kiraf’. The boss, Sven, then makes an appearance with ‘Ritual Of Life’ (Adam Port 108 mix) – an über-classic club hymn that carries you away. As tempos then slow and the moods and grooves subtly shift to keep you engaged, things get a little quieter and more contemplative with ‘Disappear’ by Kamran Sadeghi and Julia Govor, and Govor leaves quite some impression with her vocals for this brilliantly emotive track.’ The closing brings us back to Guido Schneider & André Galluzzi and their ToFu Dubdub of ‘Mario’, rounding out the tight and fresh mix with a nice sense of circular cohesion. 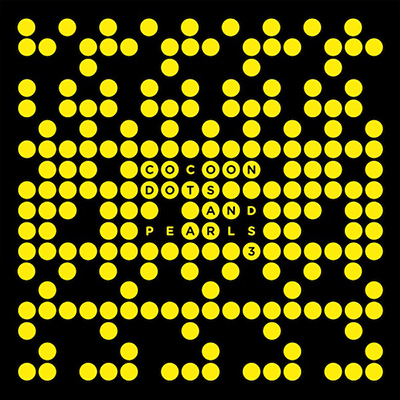 Once again here Cocoon has pulled out the best from one from their main men and Dots & Pearls is another standout compilation.